Famitsu: How were the details on the production of MMX Legacy Collection getting set in stone in the first place? Tsuchiya: In the Mega Man 30th anniversary milestone, we wanted to not only make the 11th Mega Man but also to seriously revive Mega Man as a brand. 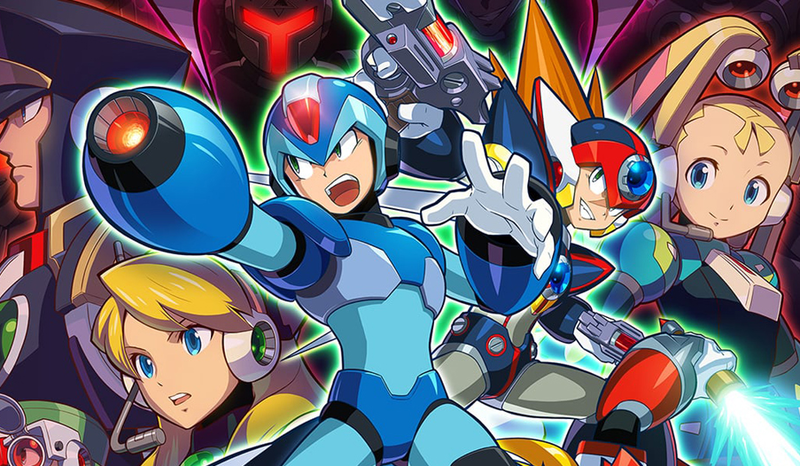 Mega Man X has fans around the world just like the original, and he’s having his 25th anniversary this year. In order to make Mega Man X—which was considered a masterpiece—playable in the modern era, we need to revive the brand. And if we miss this opportunity, there might be no chance for Mega Man X to go through his 30th anniversary. With such a reason, we decided to release it on the timing of his 25th anniversary. You can read the full interview at PlayStation Lifestyle. Thanks, Kite! Im starting to like Tsuchiya as a producer the more interviews where he is in I read. It's interesting how he's upfront about the long-term plans of all this. Well, to a degree. It excites me to think they legitimately have something big planned for the 30th anniversary. I'm hoping we get a Mega Man X9 before 2023, but even just the fact they're considering making it at all makes me happy. that will all depend of MegaMan 11 i guess. things are looking up. if only a bit. Will be interesting to see how they handle the brand as a whole from here on out then. I'm hoping if they really do want to revive it, that they manage it better than they have in the past. This is really exciting because I feel like he's basically saying that before they can make a new X game that is siccessfus, they need to get today's gamers more acquainted with the series. It makes it seem like the original Legacy Collections really were a primer for MM11 and not just a lazy cash-grab. They may be following the same methodology with the X series, being smart about reviving each brand to give themselves the highest chance of success. I also agree that Tsuchiya seems to be a genuine fan of MM and wants the best for it. The way hesh described the production of MM11 in interviews really leads me to believe we have the right guy at the helm. I would have loved to see it get a physical release here in Europe. Without it, i fear that it will just go unnoticed to anyone who is'nt already a MM fan or at least enough of a Video game fan. Now i'm happy that the collection are being made, good occasion for me to make some friend discover the serie. I think Tsuchiya needs more full commitments to keep Mega Man game (including Megaman Legends and others) and franchise alive where Keiji Infaune sometimes does not success. Sounds like maybe, we will get that cut content from the last collection. That'd be something. Not to mention Inafune's not a part of Capcom (hasn't for a long time), so it's not like anything would stop them, right? MegaMan X9, please ?! Love all!